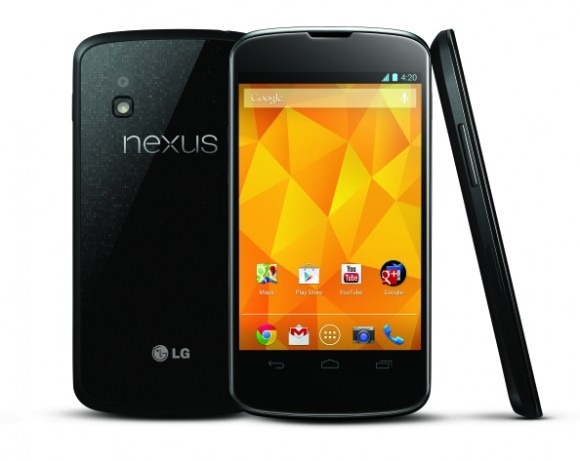 Looking to pick up a Nexus 4 in the UK? Well, you have one less option today. 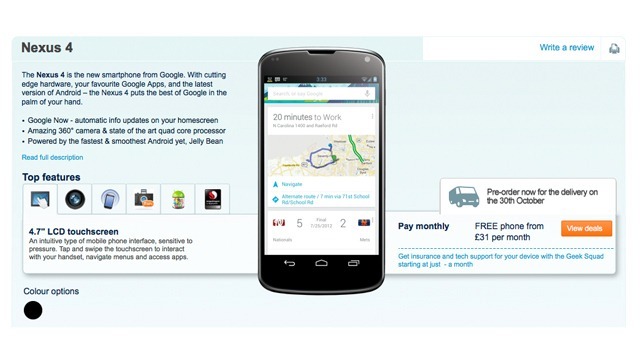 Carphone Warehouse, one of the largest online mobile retailers in the UK, has removed the Nexus 4 from the site. There isn't even an 'out of stock' notice – it's just gone. The Nexus 4 is getting on on toward late middle age now, and the limited edition white N4 was just discontinued yesterday. Carphone Warehouse is far from the only retailer selling the Nexus 4, but it was one of the first to list the device, and continued to have stock intermittently as Google itself struggled to process orders. We've reached out to Carphone Warehouse to see if the N4 is truly gone, or if this is some sort of error. We'll update if we hear anything back, but this might be the beginning of the end for the Nexus 4.